I’ve been in kind of a bad mood lately (one that, thankfully, seems to have at least temporarily abated), and it was that kind of mood where I both really wanted to read something—television really held no appeal for me—but was also disgusted by everything that I tried to read. I must’ve read the first pages of at least three dozen books. Especially Graham Greene novels. 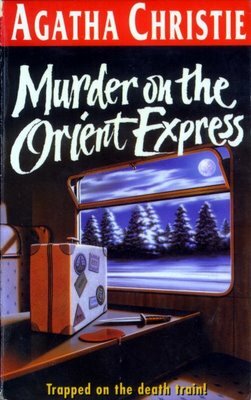 I kept thinking that I wanted to read Graham Greene, only to discover that I really did not want to be reading Graham Greene. I guess what I really wanted was to be able to go back in time and read The Power And The Glory for the first time. Anyway, the books I did end up reading were fascinating to me—they’re about as different, in terms of comfort reading, as one can imagine. And, yet, they all had their consolations. 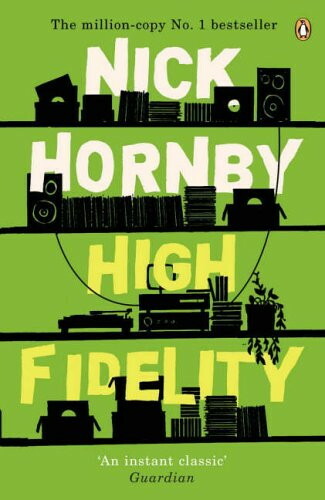 High Fidelity by Nick Hornby – A few days ago, I and a bunch of the MFA peeps were talking about Nick Hornby in the context of chicklit. He’s the perfect example of an author who would be thrown into the chick-lit ghetto if he was a woman. However, since he’s a man, he can write fluffy, slangy books about youngish people who live in urban environments and have aspirational jobs and relationship troubles. And it’s okay, because it’s literature (another example: J.D. Salinger). Anyway, I’m not one to ignore an author just because he’s the beneficiary of a sexist literary establishment (after all, I want to benefit from that establishment myself someday). I quite enjoyed this novel. I’d seen the movie previously (it’s about a record store owner whose girlfriend breaks up with him because he is immature…alright, I know…that’s pretty much what all male coming-of-age stories are about…) But the novel has some nuances that were absent from the book. For instance, even after they get back together, the main character’s relationship with his girlfriend remains a bit limp and sad. The whole novel was surprisingly sad, actually. The main character has a very empty, friendless life. And it doesn’t feel like much is ever going to fill it up. The book was easy to read and made me feel a lot better. The Life and Times of Michael K by J.M. 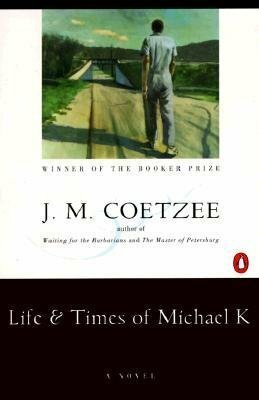 Coetzee – I really didn’t want to read this book. It was the absolute opposite of what I thought comfort-reading should be. It’s a very quiet, very spare, very beautifully-written account of a somewhat-stupid man who takes his mother out into the war-wracked countryside (so she can go back to the farm where she grew up). But I read the first page. And then I read the second page. And then I kept reading pages. And before I knew it I was like a tenth of the way into the book. I kept feeling like I shouldn’t be reading it. This was not what I wanted at the moment at all! But I couldn’t stop. It had a weird immersive quality to it. I didn’t quite enjoy it, not in the same way that I enjoyed the humorous situations in high fidelity. It was more like…it created its own world: a very quiet and a very still world. It wasn’t necessarily the world that I wanted to be, but it was such a novel experience to be in this other place that I couldn’t stop reading. I cannot recommend it highly enough. I feel like every time I read a Coetzee novel, I close it and think, “That was amazing” and then have no desire to read another one. He’s someone who lies in wait, quietly, until I need him. 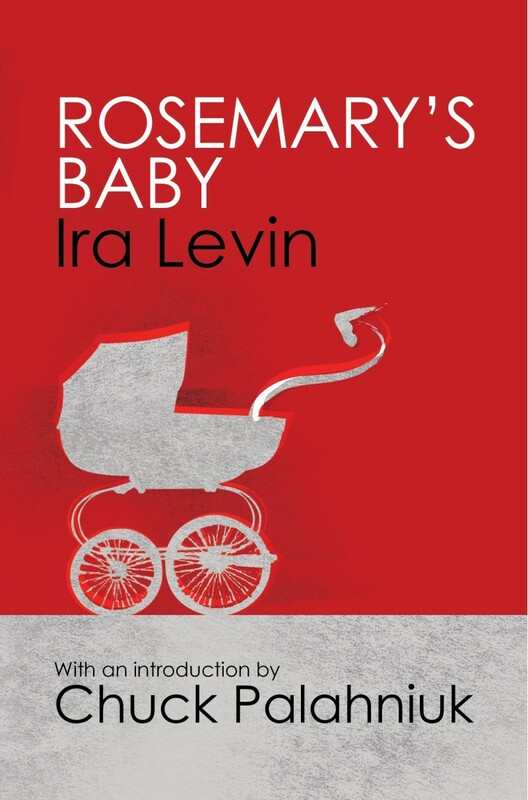 Rosemary’s Baby by Ira Levin – It’s weird to read a classic horror novel, because the novel doesn’t know that it’s a classic. It doesn’t know that even nine year olds know the twist. It thinks it’s revving up for a SHOCKING ending. Both of Ira Levin’s classic novels, Rosemary’s Baby and The Stepford Wives, have this issue to some extent. It’s not possible to read these novels with a blank mind: to read them is, basically, to reread them. But re-reading Rosemary’s Baby is really fun! It’s interesting to see the subtle ways in which the men in Levin’s novels are horrible. I mean, the women are never perfect. In fact, one gets the impression that they’re no better, morally, than the men. Rosemary is petty and a schemer and for much of the beginning of the novel she lies to her husband about her ovarian cycles because she wants to get pregnant (even though he is not so sanguine about having a child). But…because the women are powerless, you sympathize with them. And the men…man…they are horrible. Not all the men. There’s usually a kindly older gent somewhere. But most of the men…my god. It is fascinating to see the simple and subtle ways that they gaslight and manipulate Rosemary. I don’t know why this one made me feel better, but it really did. Elizabeth Costello by J.M. Coetzee — I’ve actually had this one for a long time. It is undoubtedly one of the weirder novels I’ve ever read. It’s a collection of essays and speeches that were originally written by Coetzee. Most of them were separately published by non-fiction. 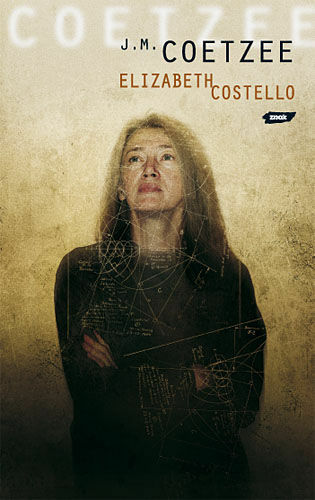 But, in this novel, they’re put into the mouth of a tired old writer, Elizabeth Costello, who’s achieved a living legend status somewhat similar to Coetzee’s. She travels around the world, visits relatives and old friend, and delivers speeches on realism and the state of literature and animal rights and love. It is an amazing performance. Once again, I thought this would be the last thing I’d be interested in, but I was completely enraptured. Costello is such a vivid and well-realized character. Her relationships are so complex, and the feelings that people have about her are so delicate. For much of the first part of the book, she’s in the company of her son. And he has such odd, conflicted emotions about her. He realized, late in his life, that his mother was a genius, and, because of that genius, he’s sort of started to forgive her for his childhood. So, yeah, the fiction part is amazing. But what’s really astonishing are the speeches and how they fit in with the fiction. The speeches are, somehow, integral to this book. Each one fleshes out Costello’s character and makes her come alive a little bit more. You get the sense of her playfulness and her integrity and her iconoclasm and her peevishness. And you get some sense of what it means to lead a life of the mind and to put so much of yourself into ideas. It’s really amazing that this novel works at all. The fact that it works well is a tremendous accomplishment. Does it ever get easier to handle rejection? Glad you found stuff to read … I tend to go for a long bike (bicycle) ride, or work in the garden, or do something, anything physical! The weather here has been _terrrrrrrible._ Today, though, it was miraculously 70 degrees, and it was nice to get out for a bit.